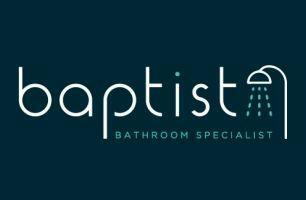 Baptist Bathroom Specialists - Bathrooms, Plumber based in Northampton, Northamptonshire. Baptist Bathroom Specialists provide a complete renovation service from supply and installation to project management. We supply and install walk in showers, wet rooms and bathrooms to an exceptionally high standard to suit your design and need for the bathroom you have always wanted for the budget you have. To make the process easier if you have photos from pinterest, instagram or just the internet in general of the bathroom style you would like we are happy to put a quotation together to supply all the products needed to give you this with the budget you have. From complete bathroom renovations to general plumbing, our scope of work can suit any need. Both domestic and commercial work are completed with all projects being managed from start to finish. We arrange all trades needed to carry out the work (plastering, tiling etc.) to take all the stress away from yourselves. We pride ourselves to be clean, organised and our projects to be finished to a high standard. Our main aim is to work with you every step of the way to give you the bathroom you have always wanted with all the stress taken away, with the budget you have.